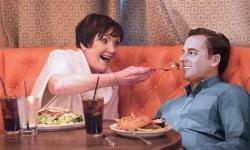 3DGeeks.com » News » May 2016 » Send a 3D Printed Replica of Yourself to Mom: Happy Creepy Mother's Day! The idea here is that Mom will be just as happy spending time with a non-talking, non-walking replica of you, her child, on her special day. I keep picturing the look on my mother's face if I did this, and it's almost worth the $30,000.00 US (yes, that's thirty thousand dollars) to do this and have a camera embedded in its eyes. She would lose her mind! This is a limited time offer, with only three days and a few hours left to order, so if you want to do this you'd better act fast! In addition to it being ridiculously expensive and only available for a limited time, there can be only one. Not just one 3D printed you, but just one 3D printed anyone. Whoever puts their money down first gets it, and all others will have to go without. Here's what your $30 grand gets you: Travel costs (up to $2500.00) so you can be 3D scanned and to establish your 3D blueprint, the additive manufacturing of your 3D replica, having it painted to (presumably) the correct skin tones and clothing choices, and then shipping/handling to anywhere in the continental United States. It's actually not that bad a deal, all things considered. Although I'm guessing the kind of people I hang out with don't have an extra $30 grand laying around in case something like this comes along. In case you can't afford to send Mom your 3D printed double (or if someone beats you to it), Groupon is also offering another unique service for Mother's Day. For the mere cost of $25,000.00 US (twenty-five thousand, you read that right), Groupon will send an employee to visit your mom on your behalf. That offer is also limited to one person, so if you're thinking that would be neat you should get on it forthwith. Included in the price is travel for the employee as well as a $5,000.00 US shopping spree for your mom. I'm going to stick with the traditional flowers and a card, and I'm making her a fancy dinner. This thing creeps me out.